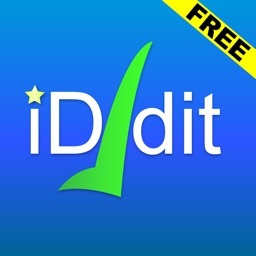 iDidIt - Free by SinSoft, Inc.
iDidIt - Free is an app to visualize your progress in whatever task or goal you've challenged yourself to do. 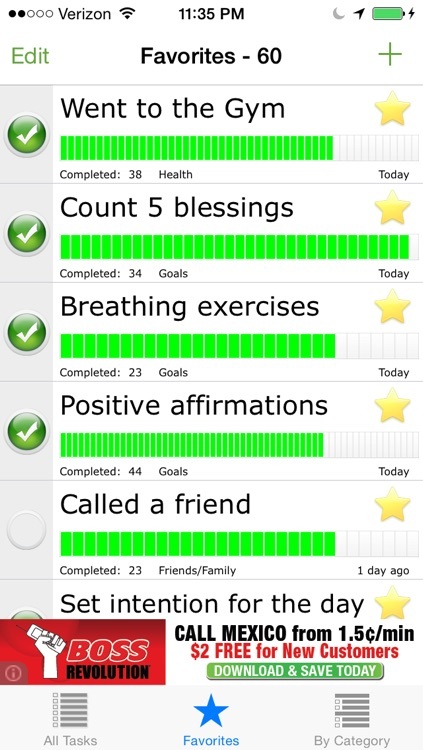 The highlight of the app is progression in your goals, and not perfection. 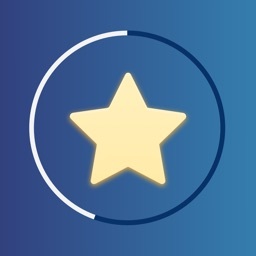 The app has a very simple premise, reward you visually with a graph that gets closer to your goal (100% completion). The checkmark on each task is cleared nightly at midnight, but you may choose to do your task either daily, weekly, monthly or even yearly--it's all up to you! 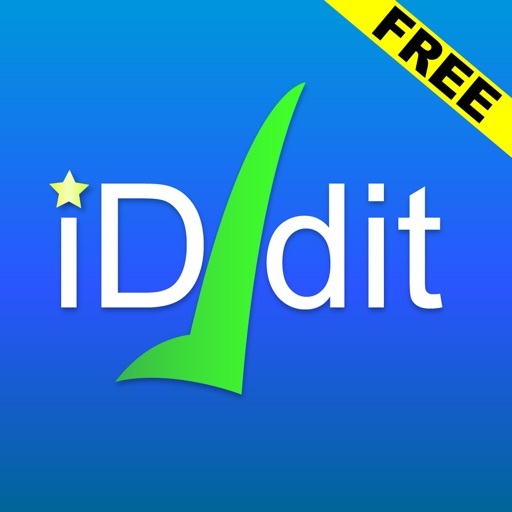 iDidIt - Free lets you keep track of goals that you want to complete and allows you to visually see how many times you have completed them numerically, graphically and in a calendar view! It also keeps track of how long it's been since the last time you completed the goal. Very handy when you are trying to remember when was the last time you went to the gym, or took the dog to the vet. 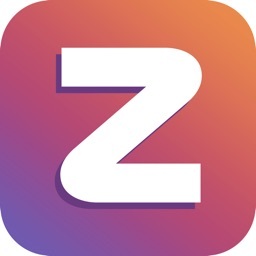 The purpose of this app is to help you develop good habits. Perhaps you want to go to the gym every day or walk the dog every other day, or maybe eat more fruits and vegetables. This app will help you do just that. And best of all, the app is free! 1. 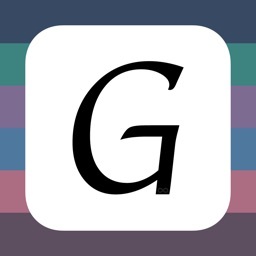 Allows you to enter an unlimited number of goals/tasks. 2. Shows you the number of times you have completed your goals both numerically and graphically. 3. Shows you how many days have passed since you last completed a goal. 4. 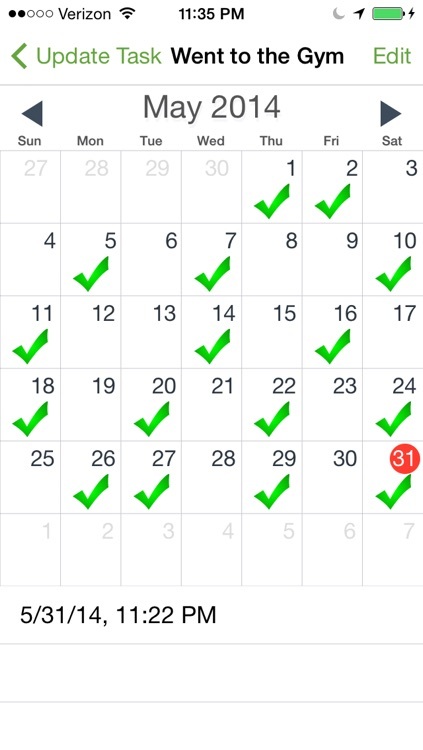 Provides a calendar view so you can visually see when you have completed your goals. 5. Provides a calendar view so you can go back in time and enter or edit previously completed goals (to make corrections). 6. 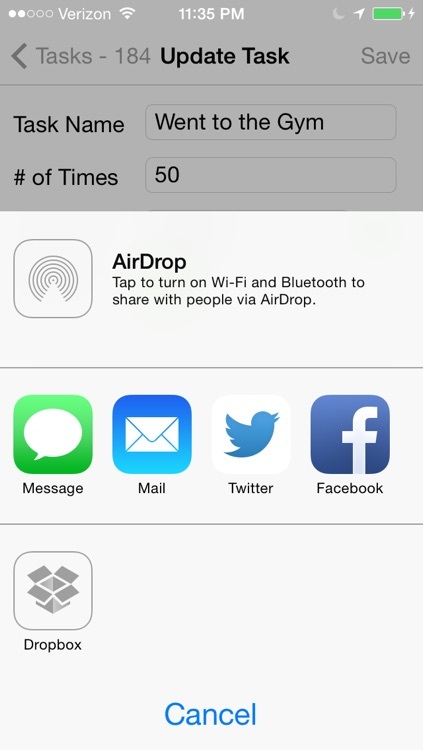 Facebook and Twitter integration for sharing your progress and achievements. 7. Dropbox integration so you can backup your iDidIt database. 1. 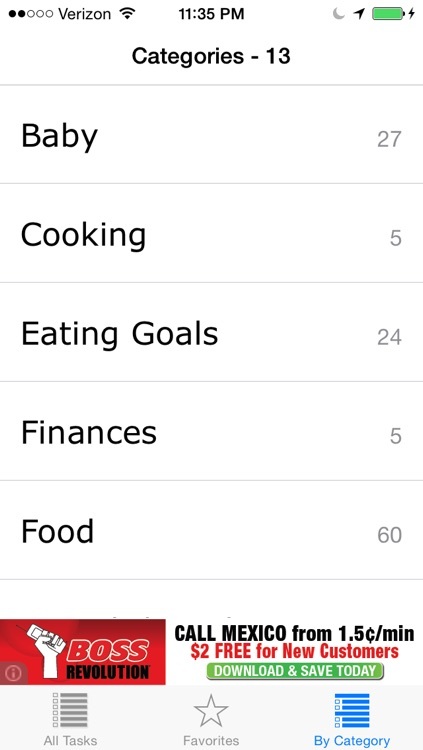 Enter a goal and specify the number of days you want to keep track of it. You can adjust the targeted number of days at any time. 2. When you complete the task tap the checkbox. 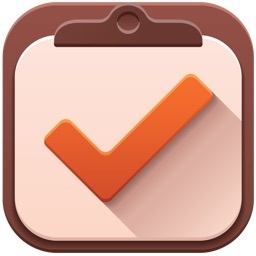 A checkmark will appear to denote it has been completed. That's really it! 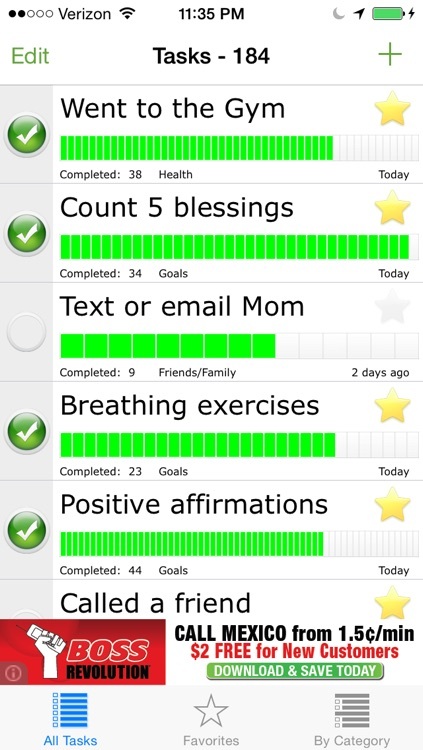 Every midnight the checkbox next to each goal will reset giving you a fresh start every day to work towards your goal! • Keep track of the number of days you have gone to the gym. • Keep track of the number of times you have walked the dog. • Keep track of when you last called a family member or friend. • Keep track of the last time you changed the air filter in the house. • Keep track of when you last cleaned the bathroom. • Keep track of when you last took your spouse out to dinner.